Deborah Morgan was born on 20 September 1956, in Dunn, North Carolina USA, and is an actress, best known for being part of the soap opera “All My Children” as the character Angie Baxter-Hubbard. She is also the first African-American to win a Daytime Emmy Award for Outstanding Supporting Actress in a Drama Series. All of her efforts have helped put her net worth to where it is today. 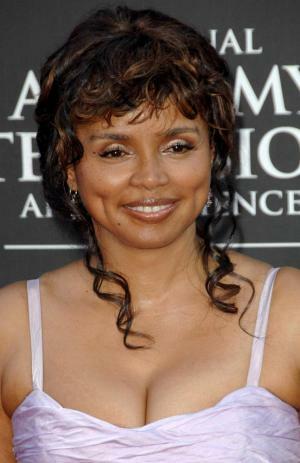 How rich is Debbi Morgan? As of late-2016, sources inform us of a net worth that is at $12.5 million, mostly earned through a successful acting career which began in the early 1970s. She also became a part of “Charmed” during its fourth and fifth seasons as the Seer. She is also known for her performance in the film “Eve’s Bayou” and all of these achievements ensured the position of her wealth. Morgan’s first film role would be in “Mandingo”, continuing by appearing in the series “What’s Happening” in a recurring role from 1976 to 1977. She also appeared in “Good Times” and would start attracting recognition when she was cast in the 1979 miniseries “Roots: The Next Generations”. She also had a guest role in “The White Shadow”, and afterwards she would become well known for her role in “All My Children”, in which she played from 1982 to 1990. Along with Jesse Hubbard, the two would become the first African-American “supercouple” in daytime serials, and would eventually lead to her winning a Daytime Emmy Award. In the 1980s, Morgan co-hosted the music video show “New York Hot Tracks’ and would become part of the soap opera “Generations”, appearing in the series until the end of its run, and then reprising her role as Angie Hubbard in 1991’s “Loving”. She also portrayed the same role in “The City”, which makes her one of the few actors to portray the same character in three different soap operas. Following these projects, Debbi would then make a string of films, including the highly acclaimed “Eve’s Bayou”, for which role she would win a Chicago Film Critics Association Award, and an Independent Spirit Award. She also appeared in “The Hurricane”, “Color of the Cross”, and “Love & Basketball”, all of which contributed to her rising net worth. In 2002, Morgan became a part of the Lifetime drama “For the People” and would then be cast in “Charmed”. She returned to “All My Children” in 2008, 10 years after leaving daytime television, and would get another Daytime Emmy Award nomination before the series was cancelled. She then joined “The Young and the Restless” in 2011, and continues to be a part of numerous television series. For her personal life, it is known that Debbi has been married four times, firstly to Charles Weldon from 1980 to 1984. She then married actor Charles S. Dutton in 1989 but the marriage would only last five years. Afterwards, she was married to photographer Donn Thompson in 1997 and it lasted until 2000. She has been married to Jeffrey Winston since 2009. Place Of Birth Dunn, North Carolina, U.S.
Parents Lora Morgan, George Morgan Jr.
1 Worked with Randolph Mantooth on both series: Loving (1983) and its spin-off The City (1995). 2 She played the role of Elizabeth Harvey in Roots: The Next Generations (1979) from the age of 15 in 1882 to the age of 83 in 1950. 3 As of 2009, she's the sole African-American actress to be honored with a Daytime Emmy for her work in a daytime drama series. She won the 1989 Daytime Emmy in the category of "Outstanding Supporting Actress in a Drama Series" for her work as Dr. Angela "Angie" Hubbard (née Baxter) on ABC's All My Children (1970) in a tie with Nancy Lee Grahn who won for her work as feminist attorney "Julia Wainwright Capwell" on the long-defunct NBC daytime drama Santa Barbara (1984). And, in 2009, she made daytime television history by becoming the first African-American actress to be nominated for a Daytime Emmy in the "Outstanding Lead Actress in a Drama Series" category for her work as Dr. Angela "Angie" Hubbard on All My Children (1970). She lost out to Susan Haskell (as Dr. Margaret "Marty" Saybrooke on ABC's One Life to Live (1968)), longtime partner of Morgan's now-former All My Children (1970) cast-mate Thorsten Kaye. 4 Met her former husband, photographer Donn Thompson, when she was posing for the June 1995 cover of "Black Elegance". 5 Her cousin Kendra Boleware-Skinner was only 28 years old when she died from cancer. 6 Her father died of leukemia in 1975. 7 Has one younger sister: Terry Morgan-Grant. 8 Parents: Lora Morgan and George Morgan Jr.
9 Her Jamaican accent on Charmed (1998) is not real.